The following agreement is provided to assure that you have read through and understood the information provided to you. It may take you 5-10 minutes at most to read through all of it. We don’t want any misunderstandings after your stay about fines you may incur for smoking, or being told you can’t stay because you’ve brought your pet with you for example. We want your stay and your memories to be enjoyable. 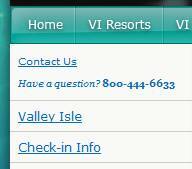 DEFINITION OF TERMS: VI is Vacation Internationale. Guest is you, the one renting the unit. Owner is Discount Timeshare Rentals, (a licensed business in the State of Washington owned by Rick Rose), a timeshare owner at VI. Guest agrees to abide by occupancy limits, smoking and pet policies as well as any other policies stated in these documents. Guest also has read and understood the unit descriptions and amenities. It is understood that these units are owned and operated by VI. Owner is renting out owner's right to use the unit to the guest. Guest will have the same rights and privileges available to owner when using Timeshare unit. Guest will be provided with a confirmed reservation very soon after payment is received. Guest is responsible for confirming the accuracy of the final reservation within 24 hours of receipt. Our phone number is included in any e-mail response when we respond with availability.